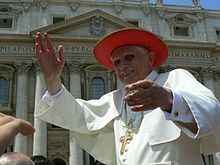 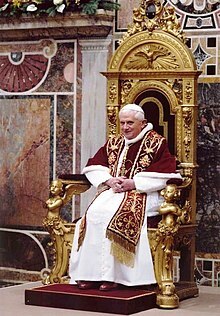 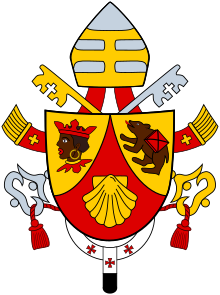 Pope Benedict XVI (Latin: Benedictus XVI; Italian: Benedetto XVI; German: Benedikt XVI; born Joseph Aloisius Ratzinger; German pronunciation: [ˈjoːzɛf ˈalɔʏzi̯ʊs ˈʁatsɪŋɐ]; 16 April 1927) is a senior prelate of the Catholic Church who served as its head and sovereign of the Vatican City State from 2005 until his resignation in 2013. 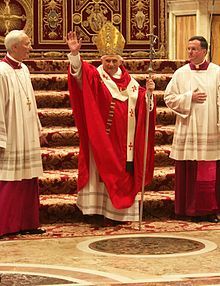 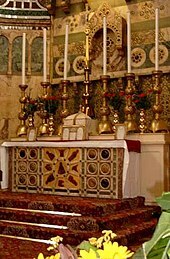 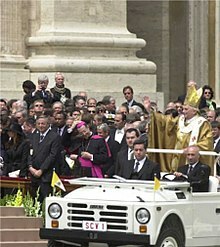 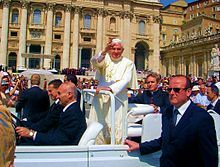 Benedict's election as pope occurred in the 2005 papal conclave that followed the death of Pope John Paul II. 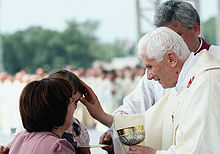 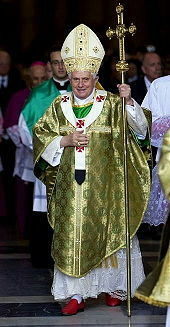 Benedict chose to be known by the title "Pope Emeritus" upon his resignation. 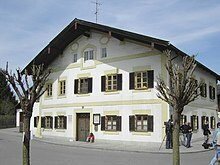 This page was last edited on 17 April 2019, at 16:37 (UTC).